I have been driving for 20 years and still like to do these free tests, as it keeps you up to date. Theres plenty of idiots on the roads, but i just drive to expect people to make mistakes and it has kept me safe so far. I also always keep in my mind that at a split second I could be in court explaining why I was doing what I did. Eg. why am I doing 30mph in a 30mph zone at 5pm when I finish work in the dark. Not in itself illegal but if I knocked someone over then would it be appropriate to drive at 30mph with only street lighting.?? 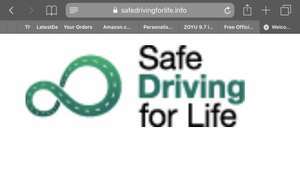 Thanks.I have been driving for 20 years and still like to do these free …Thanks.I have been driving for 20 years and still like to do these free tests, as it keeps you up to date.Theres plenty of idiots on the roads, but i just drive to expect people to make mistakes and it has kept me safe so far. I also always keep in my mind that at a split second I could be in court explaining why I was doing what I did. Eg. why am I doing 30mph in a 30mph zone at 5pm when I finish work in the dark. Not in itself illegal but if I knocked someone over then would it be appropriate to drive at 30mph with only street lighting.?? I never knew the theory test could help with all this. Is there anyway I can download a copy for quick reference!!! I never knew the theory test could help with all this. Is there anyway I …I never knew the theory test could help with all this. Is there anyway I can download a copy for quick reference!!! Yes, surprisingly if you drive as the highway code says you can't go far wrong. You are worried about doing 30mph in a 30mph zone? It's not illegal to do 30 in a 30 zone regardless of the time. You just need to have your dipped headlights on if there's traffic around and be aware. Of course you can go a bit slower if you feel more comfortable. Yes, surprisingly if you drive as the highway code says you can't go far …Yes, surprisingly if you drive as the highway code says you can't go far wrong. 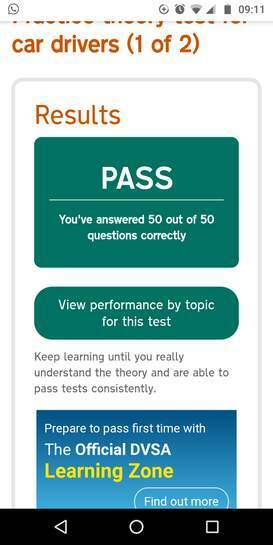 I'd recommend the driving success app which is for the theory test but it includes the highway code and you can take practice tests on questions in it specifically. Damn, failed by one point, and I’d thought I did really well! So many people use the apps and think that’s it. But are unable to answer some questions I ask them.My advice if read the Highway Code cover to cover. It's not illegal to do 30 in a 30 zone regardless of the time. You just …It's not illegal to do 30 in a 30 zone regardless of the time. You just need to have your dipped headlights on if there's traffic around and be aware. Of course you can go a bit slower if you feel more comfortable.